ELLENTON, Fla., (Sept. 18, 2018) – The 17-round schedule for the 2019 season of Monster Energy AMA Supercross, an FIM World Championship, will deepen its live event footprint with new and returning markets and the debut of Supercross Futures, an AMA Amateur National Championship. 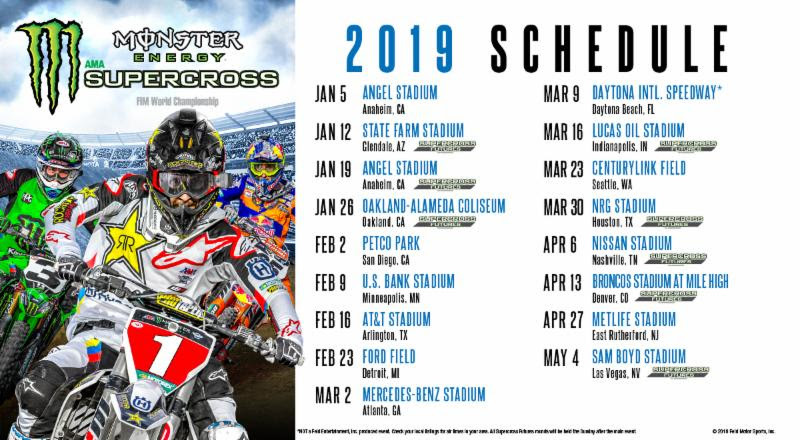 Supercross Futures, an AMA National Championship, will build upon the success of 2018’s four Supercross amateur racing events with Glendale being the first of eight beginning on January 13, 2019. The innovative concept will provide even greater access to the sport’s largest stage and help to foster a professional learning environment for budding amateur athletes earlier in their careers while enabling top amateurs to earn Road to Supercross points toward their professional AMA Supercross license. 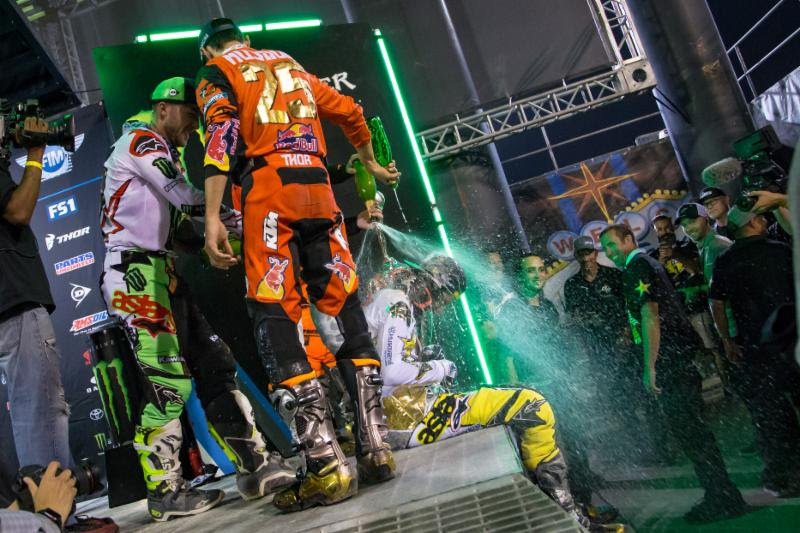 Supercross Futures events will take place on Sunday directly following Saturday’s professional events with the championship being held October 20-21, 2019 after the Monster Energy Cup on October 19 in Las Vegas. Monster Energy AMA Supercross, an FIM World Championship, is the most competitive and highest-profile off-road motorcycle racing championship in the world featuring innovative track designs and attracting impressive crowds set inside recognizable and prestigious stadiums. Feld Entertainment, Inc., parent company to Monster Jam®, Monster Energy Supercross, Disney On Ice, Disney Live!, Marvel Universe LIVE!, Sesame Street Live!, and DreamWorks Trolls The Experience (coming Fall 2018) is the world’s largest producer of live family entertainment. Visit SupercrossLIVE.com for more information.